Trained as a storyteller, Daniel employs a nuanced understanding of setting, scene, conflict and character to bring the ideas, values and the actions of people and institutions to life. 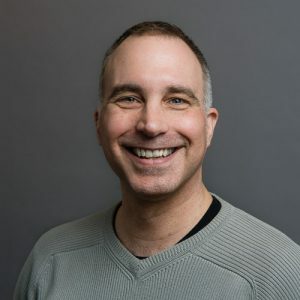 A communicator with 15 years of experience, Daniel comes to Signals from his most recent position as Communications Manager at the University of British Columbia Faculty of Medicine. There he used creativity and critical thinking to deliver a broad set of both traditional and digital communications that raise the profile of the Faculty of Medicine in the communities they serve. 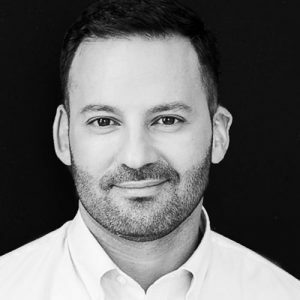 As a listener, interviewer and public speaker, Daniel believes that creating trust and equity between all participants can facilitate meaningful dialog, and lead us to new ideas and understanding. He can articulate complex ideas clearly, think visually, find creative solutions to challenges, and collaborate with diverse partners to realize our goals. 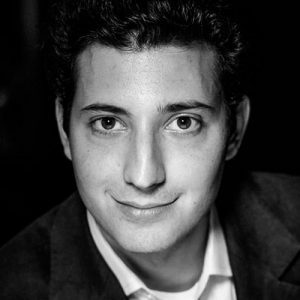 Daniel has an MFA from the University of Massachusetts. Rob is responsible for the planning and execution of all Signals’ digital projects, websites and campaigns. 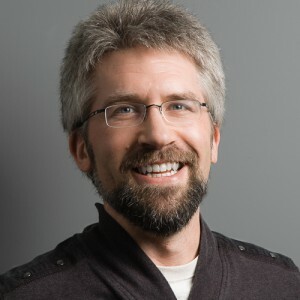 His depth and breadth of experience makes him a wonderful resource for clients seeking to integrate traditional marketing and communications techniques with the latest digital tools. 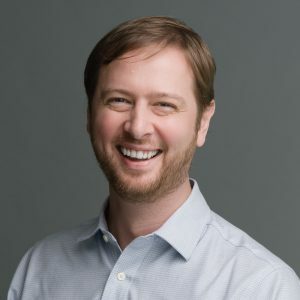 Rob works closely with our senior communicators to lead our clients through the entire digital strategy, planning, and development process, ensuring the result is a rich and positive user experience. He is well versed in user experience design (UX), accessibility and usability guidelines, search engine optimization (SEO) and social media trends and implementation strategies. His experience with a multitude of content management systems (CMS) ensures that the right system is matched to the clients’ needs. Rob joined us from real estate project marketing agency Braun/Allison where he was responsible for the coordination and completion of dozens of websites and digital campaigns. Rob has a degree in Business Administration from Acadia University where he was also a hotshot varsity football player — a Signals first! 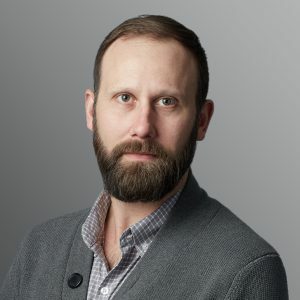 Dave joins signals as an award winning Creative Director with a history as creative lead with some of the best agencies in the outdoor industry for clients including Patagonia, Coca-Cola, Nike, Whistler Blackcomb, TELUS and Kawasaki. An active participant in the ideation and concepting, he contributes in a myriad of ways to the development of brand stories. Kyla brings a diverse professional background that spans communications, marketing, writing and brand management. Trained as a journalist, she uses her passion for research and engagement to gain a deep understanding of each client to inform branding and communications strategies. An accomplished writer, Kyla brings a fine-tuned ability to distill complex information into accessible, engaging narrative. Prior to joining Signals, Kyla led multidisciplinary teams on print and digital projects for clients across the real estate, non-profit, tourism and lifestyle sectors. 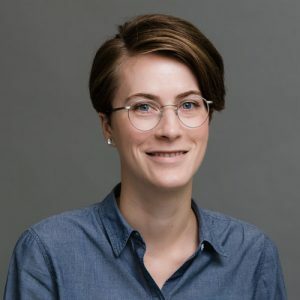 Kyla studied journalism at Carleton University, digital project management at UBC and is currently completing a degree in professional communications at Royal Roads University. 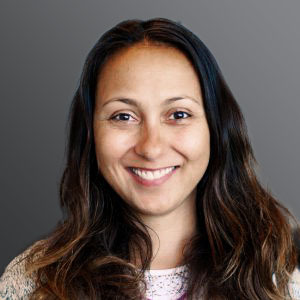 Vanessa’s journey through the web world began in 2006, and along the way her Drupal speciality has been applied to project management, information architecture and user experience. 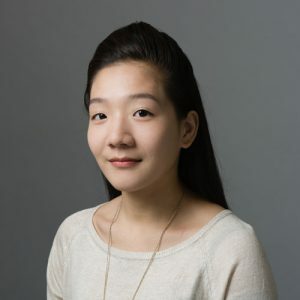 These days, she describes herself as technologically agnostic, instead applying her keen insight and depth of knowledge to digital content strategy, web/application discoveries, UX design and the general optimization of all things. Past project favourites include a Drupal distribution enabling Indigenous communities to manage and share their digital cultural heritage, and a complete rebuild of the Emmy Awards submissions platform. She likes how moving from development shops to a creative agency has surrounded her with beautiful things, but still believes that nothing beats a forest trail. A graduate of the Christchurch Polytech Art & Design Visual Communications program, Mike started his career in New Zealand as an art director for national consumer and professional brands. In 2006, he travelled to Vancouver and found a home-away-from-home working at Signals. 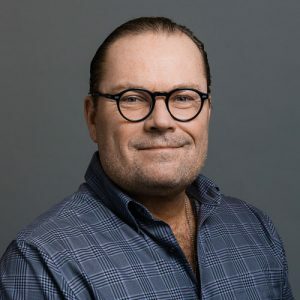 During his time at Signals, Mike has contributed to projects for almost all of Signals’ clients — delivering value on project work with strategic, creative, design, production, management, and photography expertise. As Studio Director, Mike manages the overall operations of our busy studio and is responsible for helping our multi-disciplinary team deliver exceptional work. Lee Ann knows the power of a well-crafted brand story. Over fifteen years, she has managed creative teams in film and TV production companies, visual effects houses, and graphics communications studios from coast to coast. 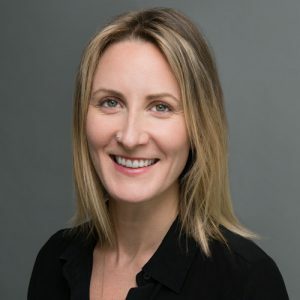 With clients ranging from the company behind Canada’s number-one sitcom, to the world’s second-largest gold producer, Lee Ann has helped connect audiences to brands through multiple mediums. Her drive to keep teams on track allows her to thrive in project-based work. Few things are as satisfying to her as updating a spreadsheet or handing over that deliverable—on brief, on budget, and on time. When she isn’t at her desk, you can find Lee Ann planning her next big travel adventure or hiking the many trails in Vancouver with her wife and their three tiny dogs. 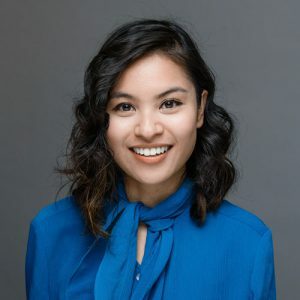 Lee Ann is a member of the Bureau of Digital, has studied Media Arts at Ryerson University, and is currently completing her degree in Communications at Athabasca University. She also loves banjo music—and isn’t afraid to admit it. The double “l” in her first name is her mojo. Nicolle is a marketer with promotion and advertising experience in healthcare, travel and tourism, and high-tech manufacturing. A graduate from BCIT’s Marketing Management program and trained in graphic design, she utilizes the symbiotic relationship between creative design and strategic marketing to achieve business results. Thriving in a collaborative and dynamic work environment, she has worked with cross-functional teams to run digital and traditional marketing campaigns, create in-house collateral, facilitate trade shows, and work on prototype product label designs. Her biggest feat – being a project lead and working closely with a design firm for a corporate rebrand. She is project goal oriented – nothing like checking things off the team’s Asana. You can find Nicolle catching up on multimedia trends and the latest science and technology discoveries, taking her camera out on hikes, drinking fine beers, hunting for the best eats in town and meeting new people on her travels to see the world. Mahafrine has extensive experience developing, implementing, and managing communications projects and managing teams for client accounts across diverse industry sectors, most notably, health and research communications. With more than 10 years in the business, she brings a variety of communications and marketing skills to her role at Signals. 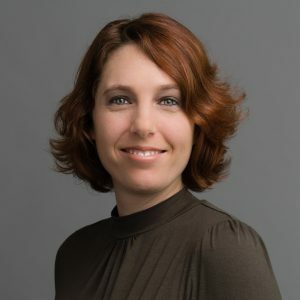 Her experience includes providing research and analysis, developing strategic communications plans, copywriting, managing cross-functional teams for integrated campaigns, and managing projects and client relationships. Mahafrine excels at translating complex information into clear, concise and compelling narratives to help organizations tell stories that resonate with their audiences. 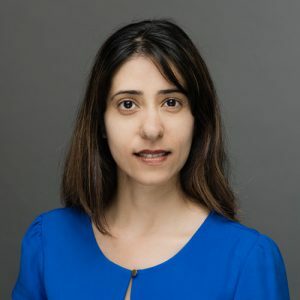 She is also skilled at working with multiple stakeholders from government representatives, to health professionals, researchers, academics, and patients. She put these talents to good use for many years for one of her major clients, the BC Centre for Excellence in HIV/AIDS (BC-CfE), Canada’s largest HIV/AIDS research, treatment, and education facility. With a strong grasp over the research-based content, sound judgment, and strategic storytelling, Mahafrine successfully positioned the BC-CfE and its researchers as world-renowned pioneers in the fight against HIV and AIDS. Mahafrine has a B.A. in Sociology and an LL.B degree from Mumbai, India. 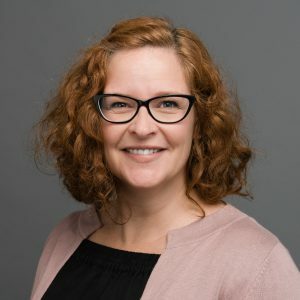 She holds a diploma in public relations from Kwantlen Polytechnic University and a certificate in Project Management for Digital Communications from the University of British Columbia. After completing her postgraduate degree in English and Drama, Alex moved from Durban, South Africa to London. She merged her love of live music and knack for problem-solving into a management role at the O2 Arena, shepherding her team through events as varied as Led Zeppelin, Cirque du Soleil, and the NBA. Back in South Africa, she taught Technical Communication for Engineers and Comparative Literature & Culture at her alma mater before pursuing writing into the advertising world. 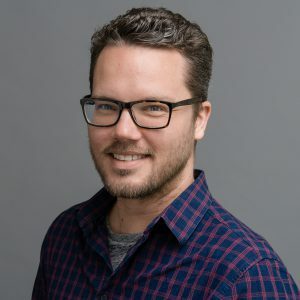 Alex has spent nearly ten years developing campaign concepts, conducting research, formulating strategy, creating radio and TV scripts, directing voice actors, and writing content for ads, websites, newsletters, training manuals, social media and everything in-between. Clients have ranged from regional radio stations to global brands like NIVEA, Toys R Us and Labello. She loves dance of all kinds, played roller derby for three years, and is a compulsive bibliophile who will totally finish that novel one day. James is a Drupal specialist who joined Signals after six years with a local digital agency. James’ goal is to make smart websites that engage, delight, and sustain. 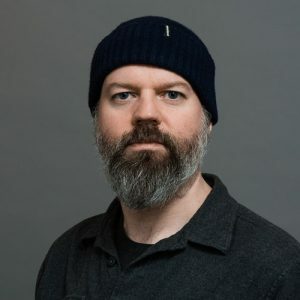 A hands on programmer, James brings a wealth of experience having since 1998 produced work for clients like Nintendo America, Disney, the Magazine Association of BC, the Real Estate Board of Greater Vancouver and Windset Farms. James lives in Drupal, WordPress, PHP, standards-based XHTML, CSS and jQuery, and has considerable expertise in interface design, information architecture, usability, functional design, SEO design and strategy and CMS development and configuration. 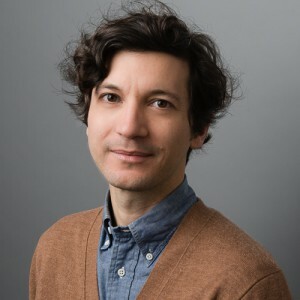 James has a BA in English Literature from the University of Winnipeg and a BDes from Emily Carr University in Electronic Communication Design where he has also taught New Media and Advanced Web Design for five years. In addition to the above, James has in the last year, attempted the chocolate Guinness whiskey cake, and the now legendary James Joyce donut upside down cake, which he has been known to share with his officemates and lucky visitors. Dale is a designer and illustrator from Durban, South Africa with 15 years of experience. After completing his Bachelor of Technology degree in Graphic Design, he nurtured his love of editorial layout and typography while working on diverse publications and projects for Unilever, Smollan Group and Africa’s major retailers. He really got to hone his brand creation and campaign craft in a niche agency, exploring an array of work for brands like Barloworld Transport, Lexis Nexis, the Durban Natural Science Museum and a host of environmental and non-profit organizations. In his freelance capacity, Dale developed a name as the go-to designer for the South African stand-up scene, including the Savanna Comics’ Choice Awards, the largest comedy event in Africa. In his spare time, he works on concept art for a project about a lost cosmonaut. He’s a recent convert to snowboarding, but does miss the tropic sunlight. Stijn /steɪn/ is a multidisciplinary designer from Bruges, Belgium. Since graduating in 2004, he worked on a wide range of print and digital projects for publishing companies, not-for-profits, a skatepark, and a few rock bands. 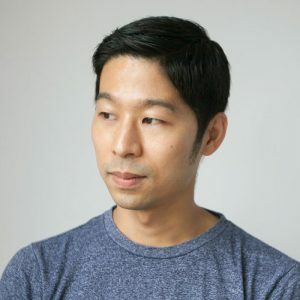 His passion for design, photography, learning new visual storytelling tools, and strategy-driven projects led him to Signals. In his off-time, Stijn can be found at Okanagan Lake playing Kubb (aka viking chess) and checking the local wineries’ labels for kerning gone wrong. After studying Art History and Anthropology at UBC, Laryn worked in arts programming and curation for non-profit organizations throughout the Lower Mainland. She found a passion for engaging communities in art initiatives, coordinating a guerrilla knit-graffiti project that wrapped North Vancouver trees in yarn. She returned to school in 2015, completing Communication Design Essentials at BCIT and ECUAD. While in the program, she learned to incorporate her academic arts background and community engagement experience into her design approach. Since graduating, she continues to develop her design skills with studio and freelance work. Outside the studio, Laryn explores other creative pursuits like textile weaving and illustration. She’s always scoping out her next travel destination, including where to find the best tacos, and has an unhealthy obsession with corgis. Her only corgi to date is a plush called Kevin. Victoria is a communication designer who focuses to intervene in social and cultural challenges through co-creative systems design as she believes that design is a collaborative and powerful tool for change. Influenced by the range of obscurity, quirk and placidness in Japanese culture, her approach to design thinking and everyday living is explorative and inquisitive. 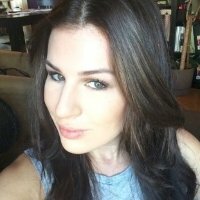 Victoria joins Signals from Mogo Financial Technology Inc. where she brings her experience of direct collaboration with the company’s marketing, front and back-end development and product teams and external partners such as Postmedia to ideate and build a strong brand identity and quality products. In addition to having learned new ways to efficiently manage her finances, Victoria continues to volunteer as BC Lymphedema Association’s social media strategist and designer to educate, create awareness, and connect people with lymphedema. Shan brings a wealth of experience to our interactive team. 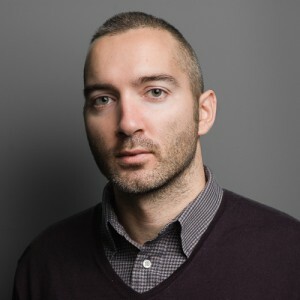 A graduate of the Interactive Design program at Capilano University, he honed his development skills working as a freelancer for a number of well known Vancouver agencies. Shan’s development work on prominent local real estate marketing websites will be particularly helpful to Signals clients in this sector. Shan sees new projects in different sectors area as a path to continuously improving his products and his expertise. 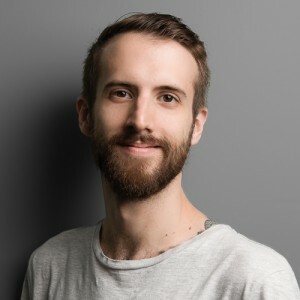 He is particularly interested in the application of mobile techniques on the web and introducing app behaviours to browser-based websites. His goal is to build beautiful and seamlessly functional websites with interactive elements. and took a web development and design course at ITD Canada to further hone his web skills. Motoki has worked on several design projects for clients in the branding, retail and food industries. He also authors a blog on his web development experiences to share his expertise to guide other budding web developers. 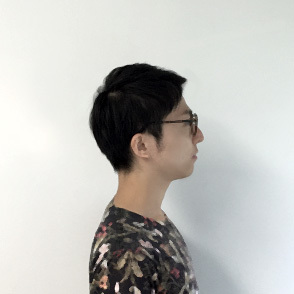 Before arriving to Canada in 2016, Motoki worked as a web developer for a design firm in Japan. Ajax, PHP, MySQL, JSON, Gulp, Git, WordPress, Bootstrap, Foundation, WebAPI, Responsive Design, Photoshop and Illustrator. 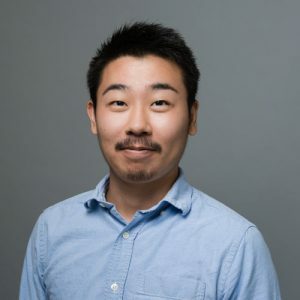 Motoki is constantly building and coding to master new languages and tools to bring to his skill sets. When he is not creating digital projects at his desk, Motoki is out playing basketball games, doing yoga, and working out at the gym. Paul brings substantial business management and financial expertise, along with strong leadership skills to his role as President of Signals. He has a track record of high performance in the private banking sector, primarily as a consultant to corporations and affluent families in Vancouver. Paul has extensive experience in training and leading teams and has been recognized by his peers for his outstanding leadership. Currently, Paul focuses on his financial consultancy, advising and developing investment strategies for local and international clients. He is a graduate of Harvard Business School where he completed executive leadership studies. An entrepreneur at heart, Paul sees tremendous potential for growth in Signals. He was drawn to the firm’s strategic approach to communications and sees Signals as a company with the right mix of capabilities to thrive in the digital age. Paul volunteers as a member of the Finance Committee with the BC Council for Families, a Provincial Agency that designs and implements educational programs for young families. He is also a member of the Harvard Club of British Columbia and Financial Planners Standard Council. Like all Signals people, Paul has a creative side and a unique claim to fame: he played guitar in a Pearl Jam tribute band while working with one of the largest telecom companies in Australia. Ever the adventurer, he is now a licensed pilot who still enjoys the guitar. Paul and his wife, also a musician, have two young children. Rick began his media career at Ronalds-Reynolds & Co. in Toronto in 1985. After learning planning fundamentals at Foote, Cone & Belding and broadcast execution at Grey Canada, he moved to Foster Advertising. When Foster was acquired by McCann-Erickson, Rick worked as Group Head of the Coca-Cola media AOR, managing a team of 15 on a national ad budget of $40 million. 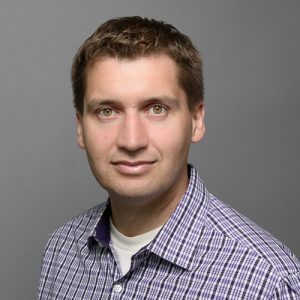 Having had his fill of Ontario’s terminal winters, Rick moved to Vancouver in 1995 and was TBWA’s Media Director for ten years. Clients included HSBC, London Drugs, BC Liberals, BC Children’s Hospital, and Nissan. He joined OMD Vancouver as General Manager in 2005, and spent eight years overseeing work on BC Hydro, McDonald’s, BMW, UBC, Telus and others. After a brief stint at a fintech firm, Rick realized that the agency world was his true passion and returned there in 2014, joining Maclaren McCann Vancouver. He launched FEDERATION Marketing Services in August 2017. He lives for summer in BC, and has a fat ginger cat called Henry VIII that can be seen online via kitty cam. Matt began his infatuation with visual communications and graphic language at an early age by reading comic books. After first studying design at Grant MacEwan University (Edmonton), and then at the Emily Carr University of Art and Design (Vancouver), he held various positions at several design firms and agencies throughout the Lower Mainland. In 2002, he established his own consultancy with business partner Susan Lepard, and has designed everything from beer packaging to museum exhibits. Matt has been a guest lecturer at Emily Carr University, Capilano University, Douglas College and Langara College, and has expounded the benefits of fonts at Vancouver Nerd Night. His typefaces have been featured in Faces on the Edge: Digital Typography, and IndieFonts: A Compendium of Digital Type from Independent Foundries. He enjoys apple fritters and playing the drums, and is a walking encyclopedia of useless comic book trivia. Despite being colour blind and missing half a finger, he can still cobble together a pretty decent logo. 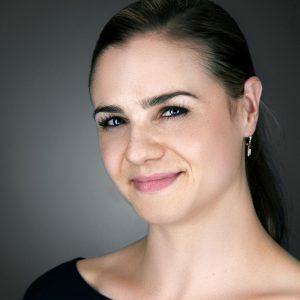 Dr Rochelle Macdonald is a Senior Strategy & Development Executive with highly developed skills in Strategic Planning, improving business processes, developing new markets, developing new business opportunities, leading complex commercial negotiations and optimizing revenue. Highly effective team builder and leader who optimises the contribution and commitment of team members and who is able to grow and lead a substantial business unit through major transformational change. Developed and led major projects, negotiated multi-million dollar agreements, secured new revenue, influenced major multi-national corporations and have a reputation for focusing diverse stakeholders on common objectives. 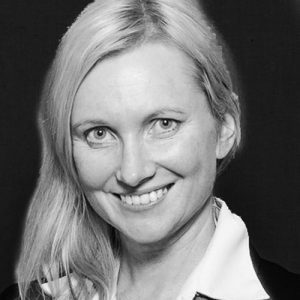 As the Founding Director of Elemental Strategy, an Australian-based strategy, implementation & change consulting firm, she has helped organizations resolve leadership, environmental, engineering, geology and strategy issues and implement change. Mr. Agisim has successfully navigated a global career, working in seven cities (New York, London, Paris, Johannesburg, Dubai, Shanghai, and Abu Dhabi) developing a truly global network. 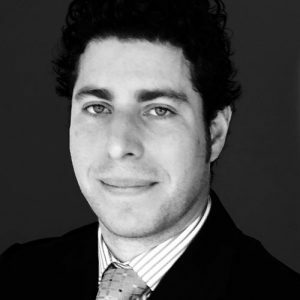 Throughout his career, Mr. Agisim has worked in companies of varying sizes and industries, beginning his career in Investment Banking and Private Equity, working for HSBC, the government of Dubai Sovereign Fund, Istithmar and portfolio company Gulf Stream. Mr. Agisim gained valuable experience in the sports and entertainment industry in college, where he interned for the New York Jets. Five years ago, Mr. Agisim transitioned his full-time career from finance to entertainment when he moved to Shanghai, China to join AEG Worldwide. During his tenure, he worked closely with the CEO to develop a regional expansion model, including acquisition of new venues and global touring talent and supported on the development of the Asia business plan and financial model for the proposed sale of the company. Mr. Agisim also supported the President of Music on shifting the business from a one-off China event to an Asian touring model. For the past three and a half years, Mr. Agisim has worked in the Middle East for the Government of Abu Dhabi as the New Business Manager for FLASH Entertainment. The UAE is actively building the brand of the country through providing world-class entertainment locally and investing globally. FLASH is at the heart of this endeavor, owning a 10% stake in the UFC, partnership with Ticketmaster Middle East and actively developing world-class content across the Middle East. Seasoned, award-winning communications, public affairs, reputation management, media & stakeholder relations executive with experience leading integrated communications and public affairs strategies in the for-profit and not-for-profit sectors in English, French and Spanish. Specialized in the development and execution of institutional internal and external communications programs, issues management, and media/stakeholder/government relations strategies to manage corporate reputations, build staff engagement and achieve strategic business objectives. Conceives and implements successful strategic communications plans, earned and paid media campaigns, including traditional and digital media, and brand management programs to elevate the brand and increase the profile of the organization. Matt has extensive experience in start ups an institutional finance. Initially a practicing finance lawyer at Clifford Chance, he migrated to investment banking where he joined one of Dresdner Kleinwort’s most profitable EM divisions and went on to run the Emerging Markets team at Commerzbank AG byway of succession. Matt also served as Managing Director at AFG where he focused on EM debt and equity, high tech, as well as the strategic deployment of capital to macro trends. Matt currently holds roles at InvestDen a UK online investment platform, Duet Group, a USD 5.6bn alternative investment manager and Senior Advisor to ED&F Man. He has successfully executed billions of dollars worth of capital market transactions. Matt holds a BHSC from Western University, a Juris Doctor from University of Windsor Ontario and is Alumni of the Executive Management Program from Harvard Business School. We are driven by a passion for the quality of our craft, delivering strategic and creative solutions that fulfill your brand promise.